Murmansk was founded during the First World War in 1916. Due to the blockade of ports in the Black and Baltic Seas, the Russian Empire needed an ice-free access to the Arctic Ocean to receive cargo from its allies. 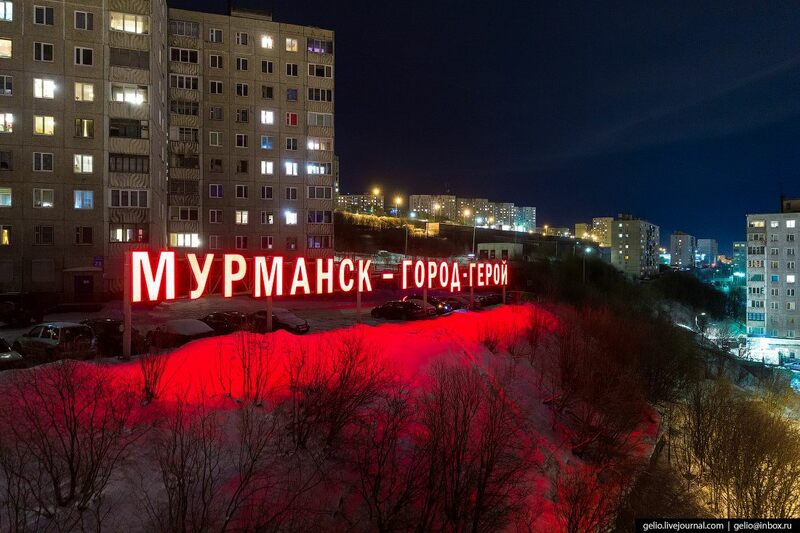 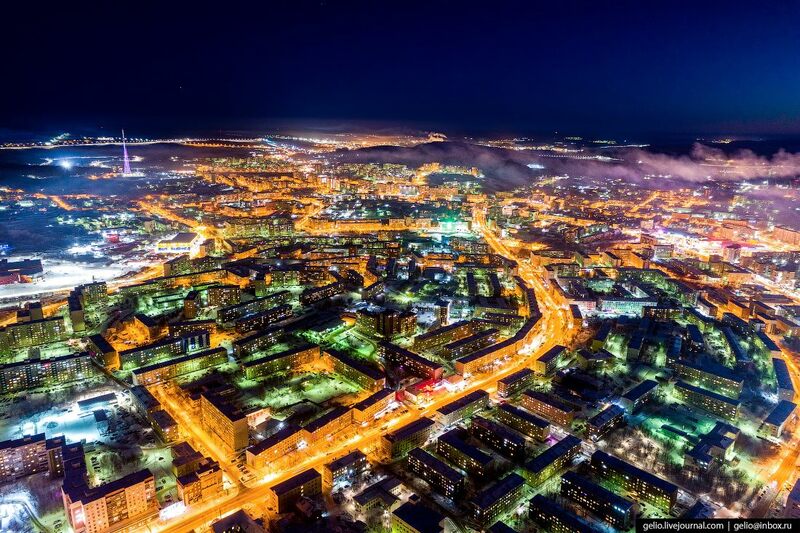 In winter, the polar night begins in Murmansk. 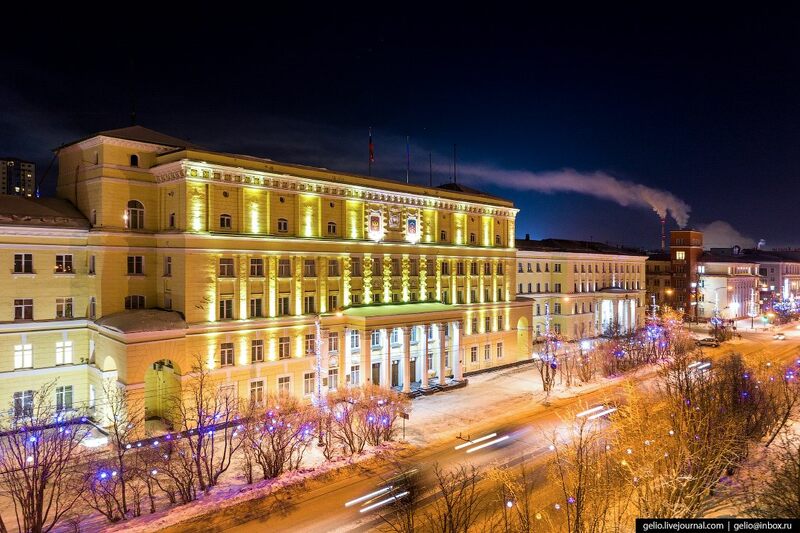 It usually lasts 40 days – from December 2 to January 11. In summer, the polar day lasts from May 22 to July 23. 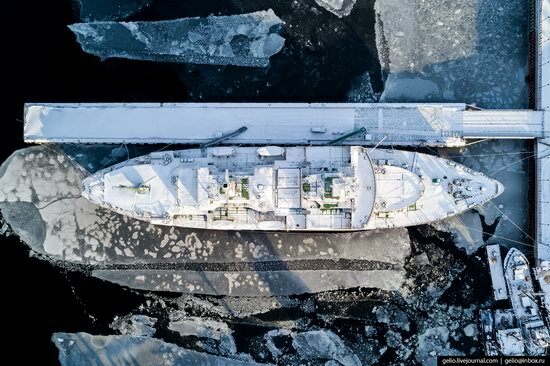 Today, Murmansk is one of the key points of the Northern Sea Route, as well as the base of the nuclear ice-breaking fleet of Russia. The port remains the basis of its economy. 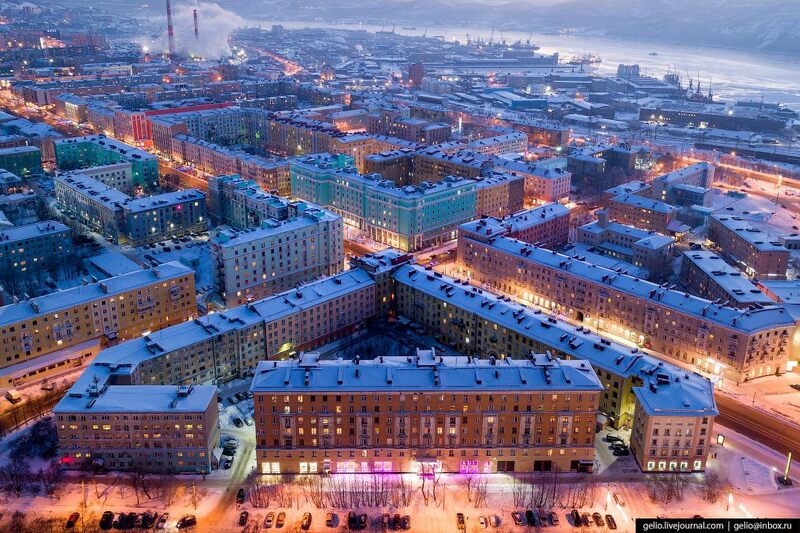 Five Corners Square – the main square of Murmansk. 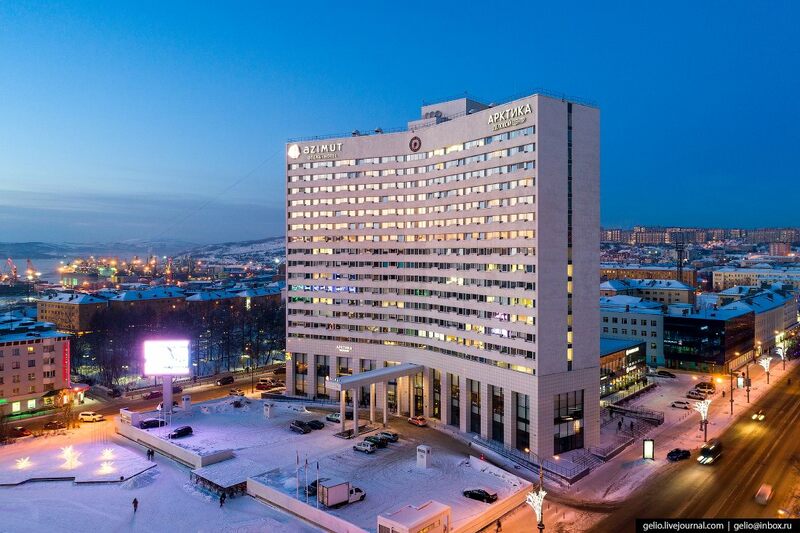 Hotel and business center “Arktika”, which is considered the highest building above the Arctic Circle (72 meters). 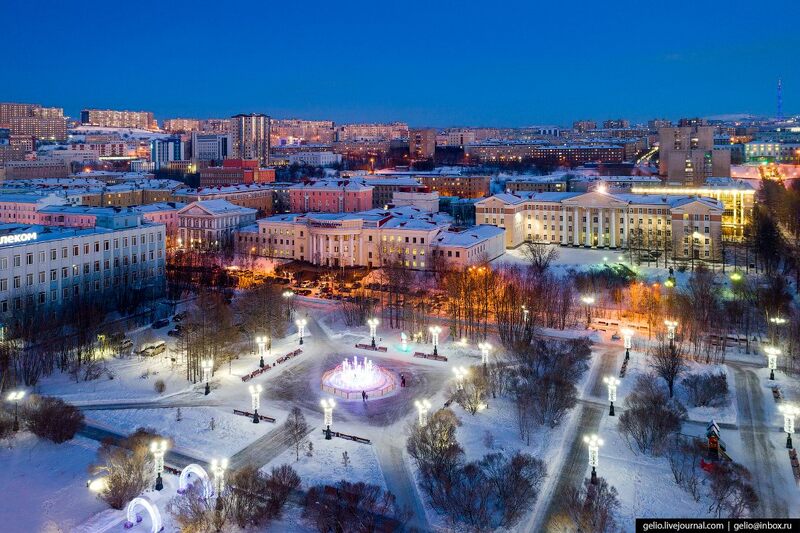 Central public garden on Five Corners Square. 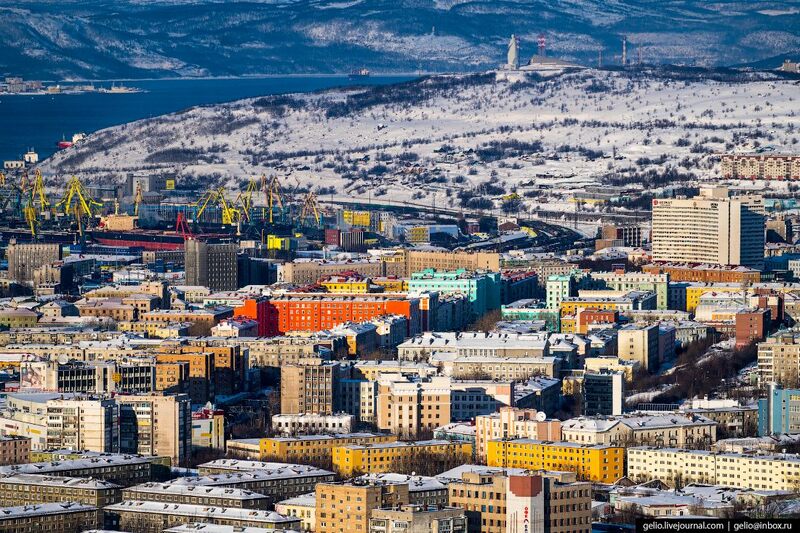 The current architectural appearance of Murmansk is largely the merit of Leningrad architects. 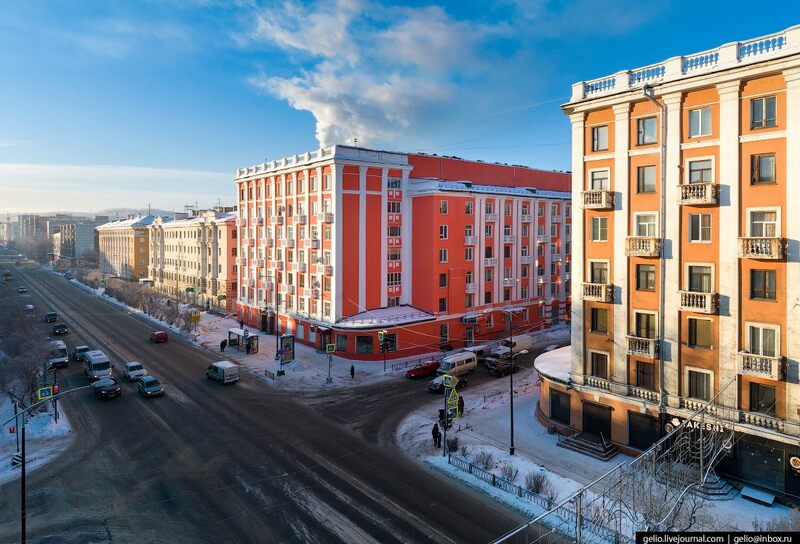 In the 1930s and in the 1950s, they designed a number of residential and public buildings, a lot of which are considered architectural monuments now. Two symmetrical seven-story buildings on Lenin Street. 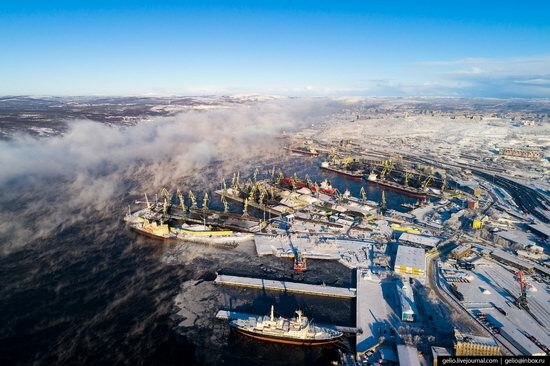 Murmansk Sea Trade Port is the largest transport enterprise in the city, the fourth largest port in Russia. 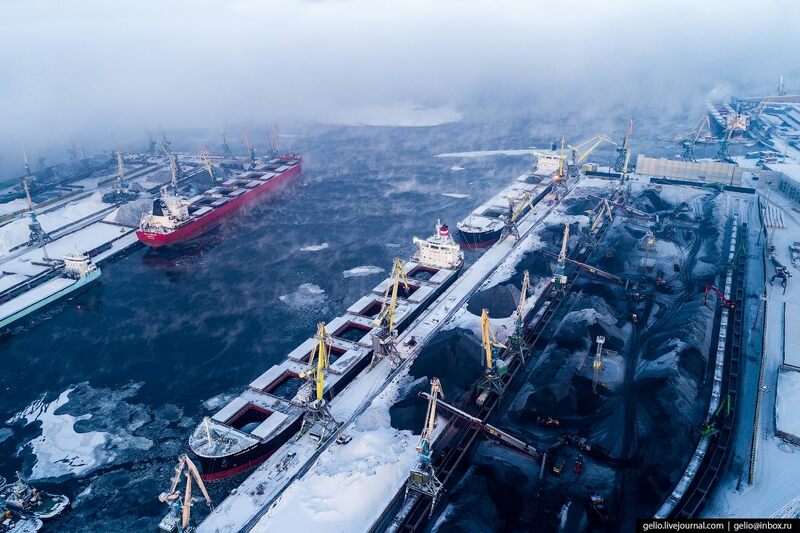 The main activity of the port is the transshipment of coal, which is exported. 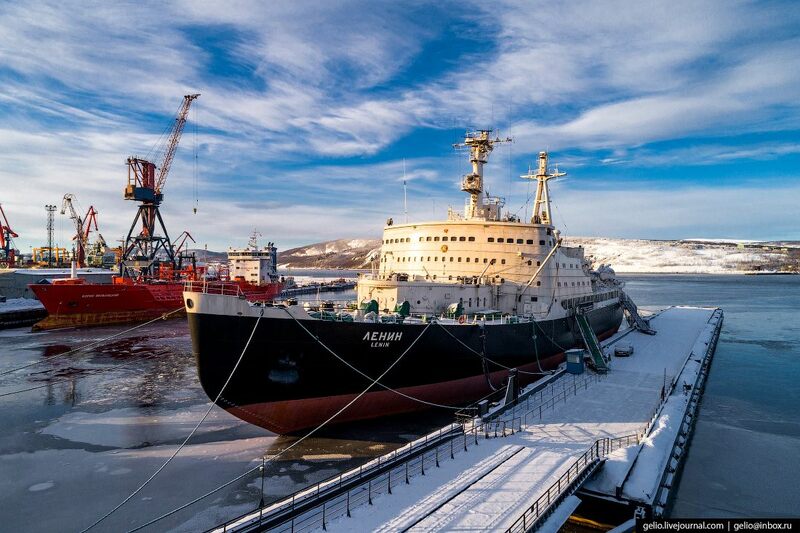 Museum “Atomic icebreaker “Lenin” (1957). 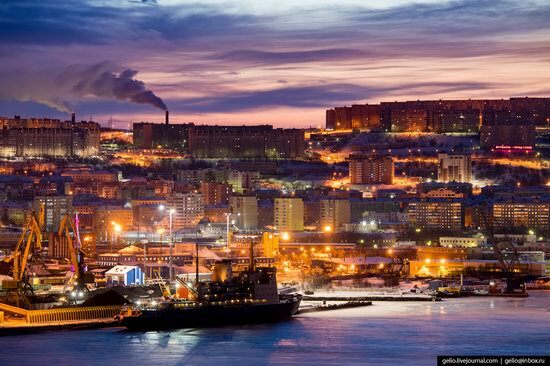 In summer, cruise liners often come to the port of Murmansk. 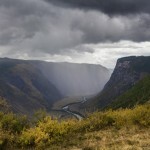 In winter, visitors from European and Asian countries come here to go skiing, go fishing and see the northern lights. “Alyosha” – the memorial to the defenders of the Arctic. 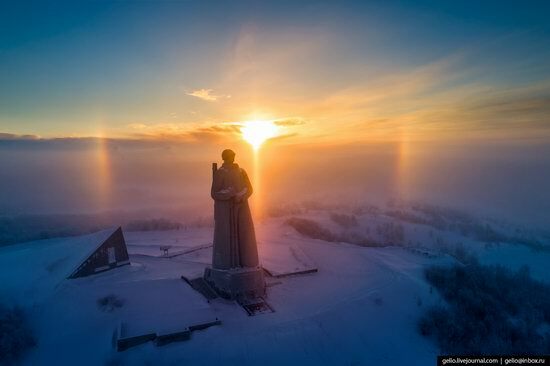 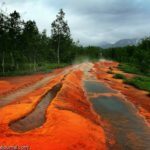 It is one of the largest monuments in Russia. The total height of the statue together with the pedestal is 42.5 meters, which is comparable with a 14-storey building. 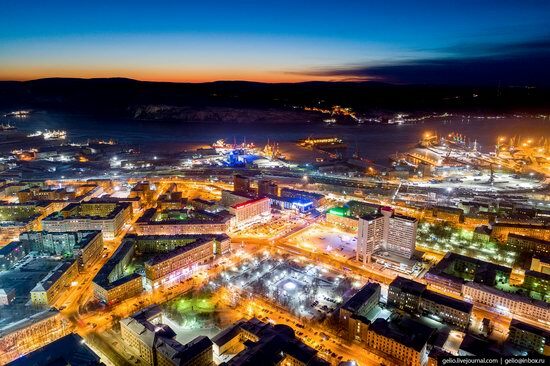 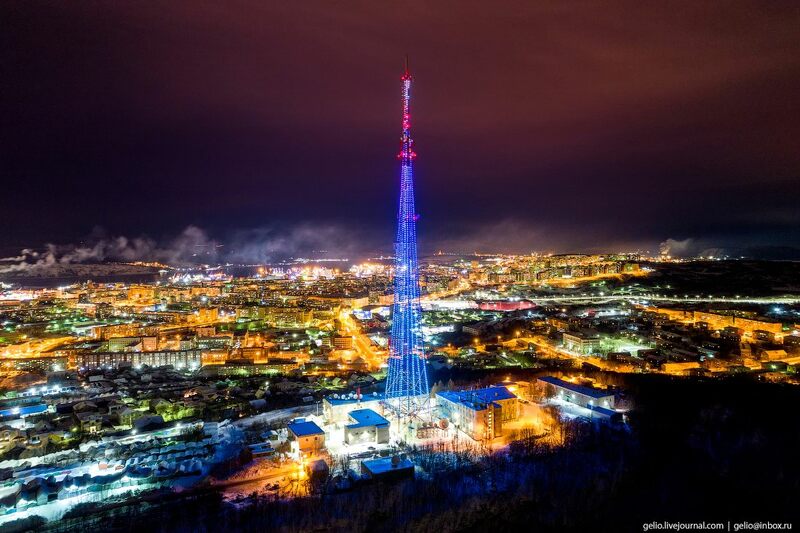 For the defense against German troops during the Second World War, Murmansk was awarded the title “Hero City” in 1985. 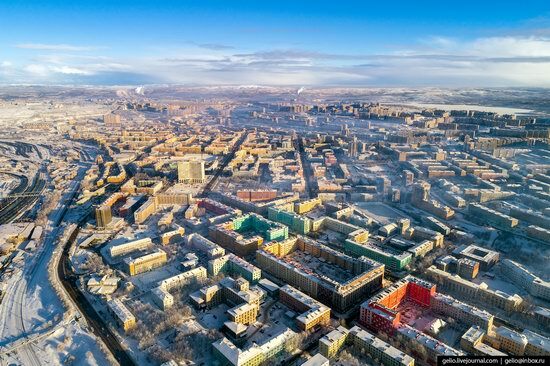 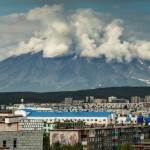 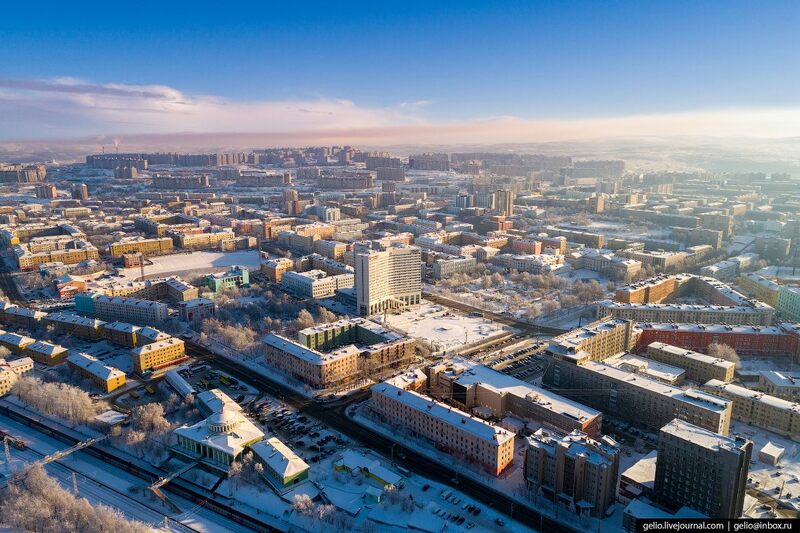 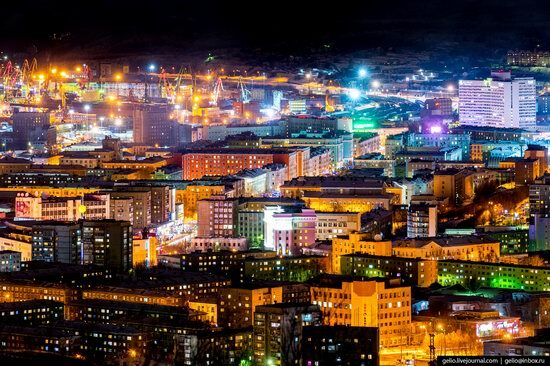 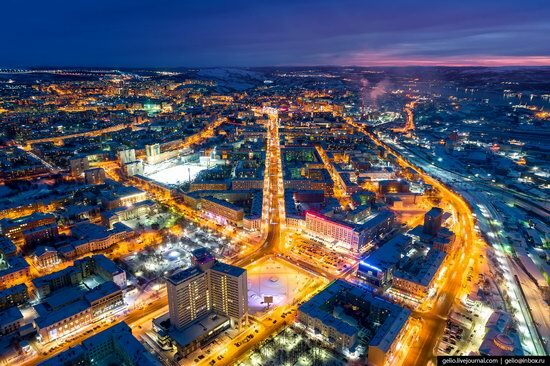 Murmansk takes the second place in the rating of the most cloudy cities of Russia, second only to Yakutsk, therefore, clear sunny days are a real rarity here. 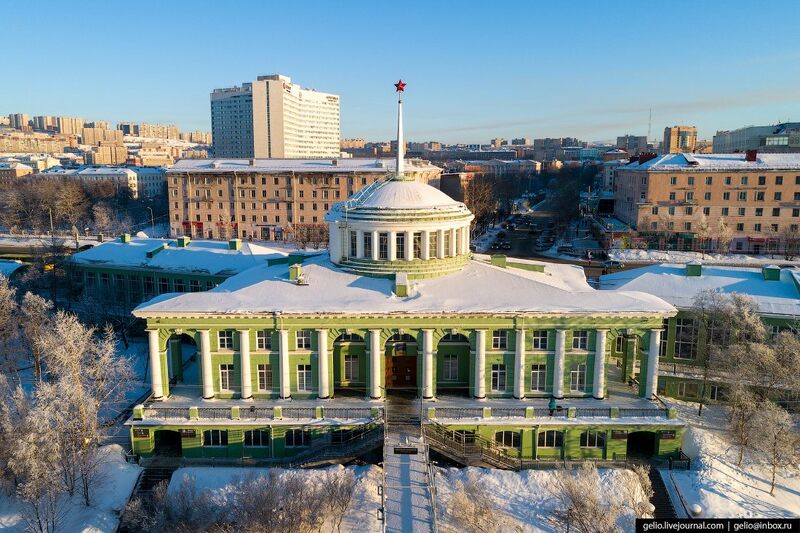 Government of the Murmansk region and the administration of the city of Murmansk. 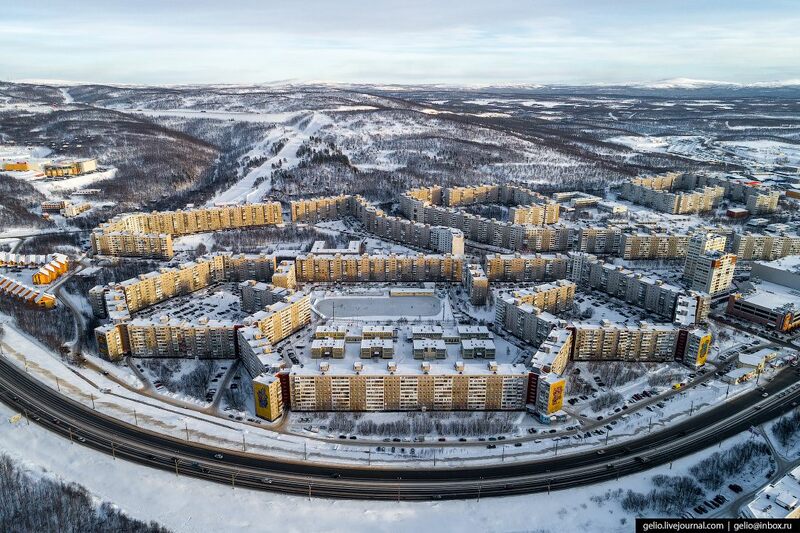 The longest residential building in Russia (1,488 meters). It was built in the late 1970s. The unusual shape of the building provides wind protection, which is very important for this northern city. 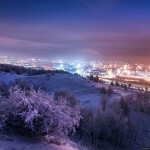 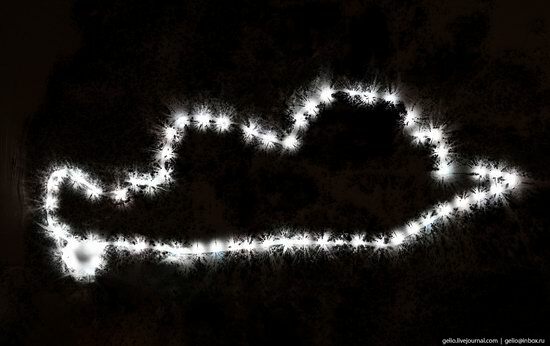 Ski track “Snowflake”. 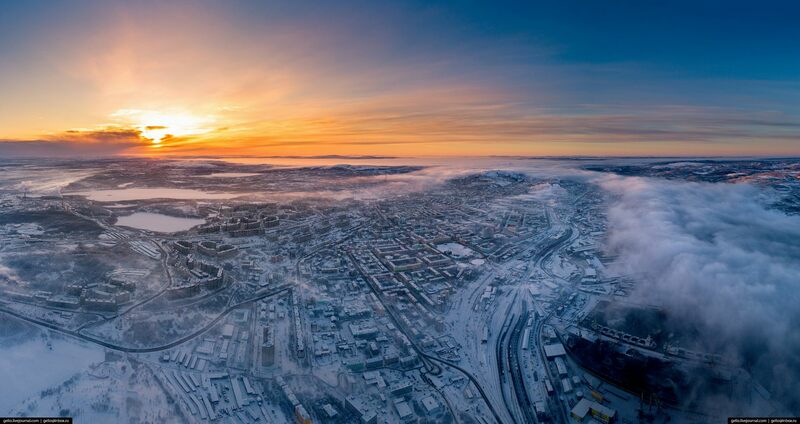 66 lampposts are installed along it, which allows locals to ski even during the polar night. 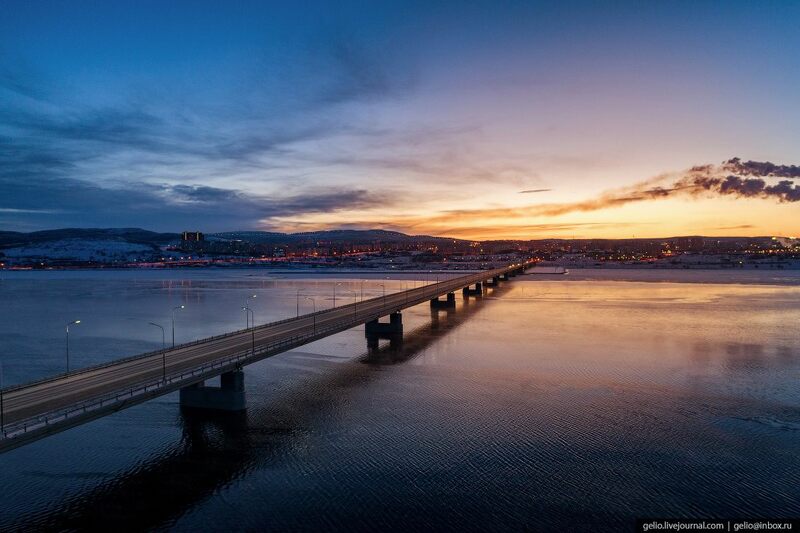 Bridge over the Kola Bay – the longest road bridge above the Arctic Circle (2.5 km). Some houses are specially painted in very bright colors to fight the so-called “color starvation” (faded gray-white landscapes of the north). 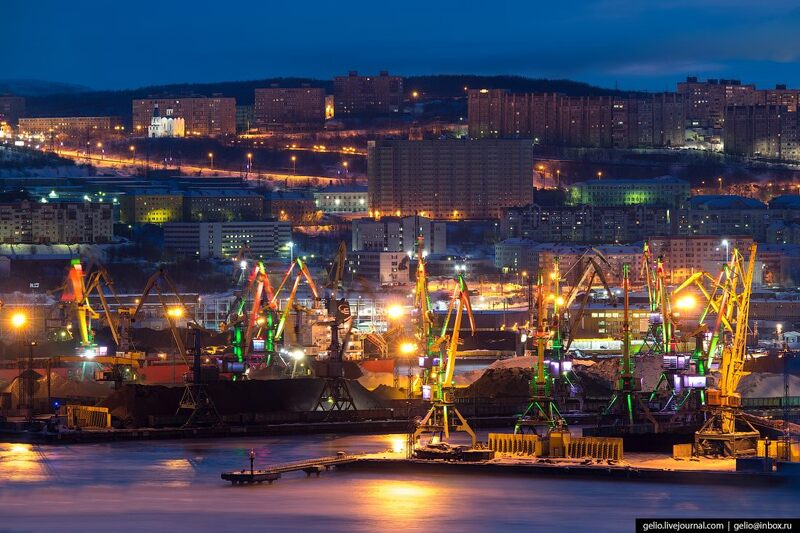 Illuminated port cranes of Murmansk.